Sayadieh Samak is a sensational dish from the Eastern coast of the Mediterranean, specifically the Levant region. 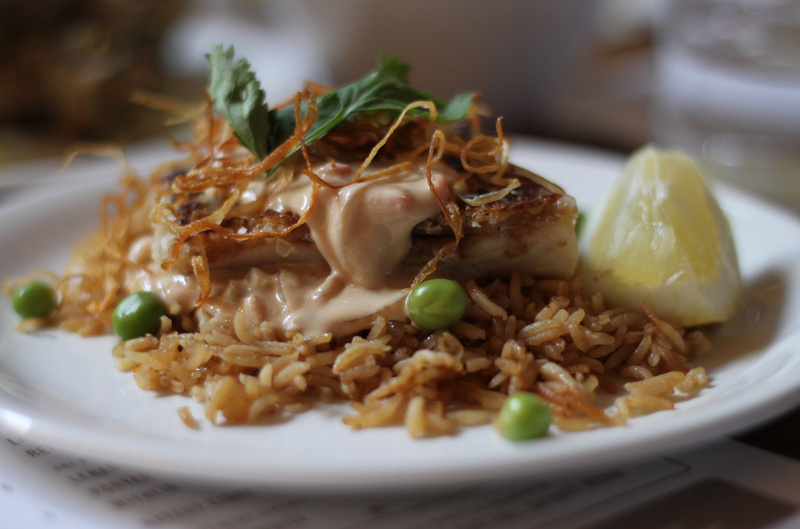 It is a savoury rice dish cooked with fish, fried onions and fragrant spices, then garnished with caramelized onions and toasted nuts. The origin of the word sayadieh comes from siad (صياد) , which means fisherman in Arabic. You can use any white fish for this dish, like sea bass, snapper, haddock or cod and it can be fried, grilled or baked. Soak the rice in water for up to an hour. Mix half the ground cumin with lemon juice and ¼ cup of olive oil in a small bowl. Place fish fillet in a dish and pour the cumin mixture over it. Leave to marinade for about 2 hours. Heat the remaining olive oil in a large saucepan and add the onions and the remaining cumin. Mix and cook until golden. Add the rice to the pan and mix well, coating everything together. Pour water into the pan to come, cover just over the rice, about 3 cm. and bring to a boil, Season with salt and pepper. Turn the heat down and simmer for about 15 minutes. Transfer to the oven and cook for a further 5-7 minutes, be sure to check the fish to make sure it doesn’t over cook. When it is cooked and crispy, place the rice mixture onto a place, top with fish and garnish with nuts, mint and lemon wedges.